Irish Moss smells like the sea. It has bits of sand and shells attached that must be rinsed off. After a short soaking, Irish Moss begins to take shape. 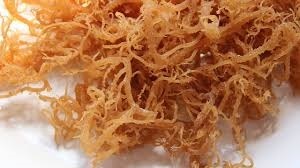 Irish Moss will absorb water and get fat and slick after several rinses. 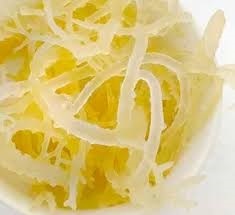 Soaked Irish Moss is placed in a blender with water and this gel is what is used for smoothies and much more. IM is not only good for your health, but works great in recipes. 1 salad spinner (spinner top not needed) or a colander with a bowl large enough for the colander to fit down into. Take a handful of IM from the bag. Return bag to the refrigerator. Place the IM in a colander and the colander into a bowl that is deep enough for the growing IM or you can use a salad spinner. Check the IM for bits of sea stuff that might be stuck to it like tiny white threads, pieces of shell, etc. Fill the colander and bowl with cool water to cover IM. I also use a salad spinner for the rinsing process...i don't spin the IM. Rinse the IM about every 20 mins for an hour and a half. Move the IM gently, picking it up and slowly moving it around. Use the rinse water on your outdoor plants. Do not saturate one outdoor plant. After the final rinse, remove the colander from the bowl and allow the IM to drain. Place the drained IM in a blender with 1/2 cup of cool water. Blend for several minutes until smooth. Put finished gel in a jar with lid. It usually makes about 3 cups of gel. Refrigerate. 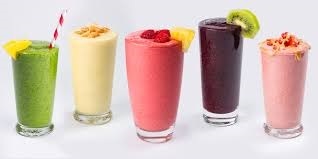 SMOOTHIES: Use one heaping Tbls in your smoothie. Blend smoothie well. I don't soak my IM as long as he does, as I have this feeling that over-soaking removes some of the nutrients. I soak mine for about 1.5 hours. Rinse water is always fed to my outdoor plants. Good recipe ideas shown. This site has some really nice ideas for using IM. There is a suggestion as to another way to rinse the IM. 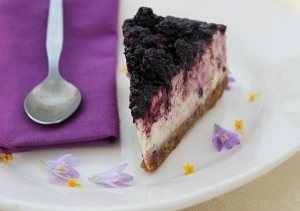 I would recommend checking out the "How-Tos" and recipes. Note of caution: Too much IM might cause loose stools as it is a mild laxative. 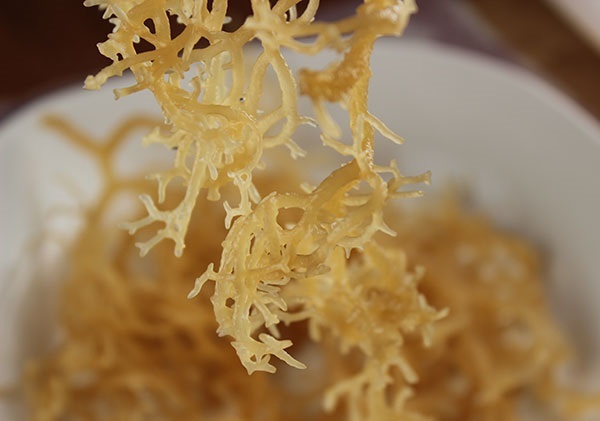 Irish Moss is a great source of IODINE! If you want more helpful information about Irish Moss, here is a site sent to me by a friend in Florida. I cannot attest to the quality of their product because I have not tried it, but the benefits they list are a witness to what others are saying in the above articles and videos. I can't say enough about this product.